*Please note our inclement weather policy for the Bookmobile: When COUNTY schools are closed due to weather related issues, the bookmobile will not run. When County schools go in late, the bookmobile runs correspondingly late. Using 8:00 AM as a baseline, if schools start two hours late, the bookmobile's first stop would be the one with a scheduled time closest to 10:00 AM. If the situation arises, any starting time later than 10:00 AM would be determined at that time in regards to whether any runs would be made that day. Please call 615-893-4131 for any questions about the Bookmobile schedule. The new Bookmobile was purchased in November 2005 with funds contributed by the public and by charitable foundations. The exterior featured graphics by local artist Norris Hall, celebrating regional landmarks. In 2017, the aging graphics were updated with illustrations by Linebaugh library associates Jessica Bruce and Michael Cleaves along with an "inside" look photo on the back by Circulation Supervisor Kathleen Tyree. Inside this "library on wheels," patrons have access to a collection of more than 4,000 books. 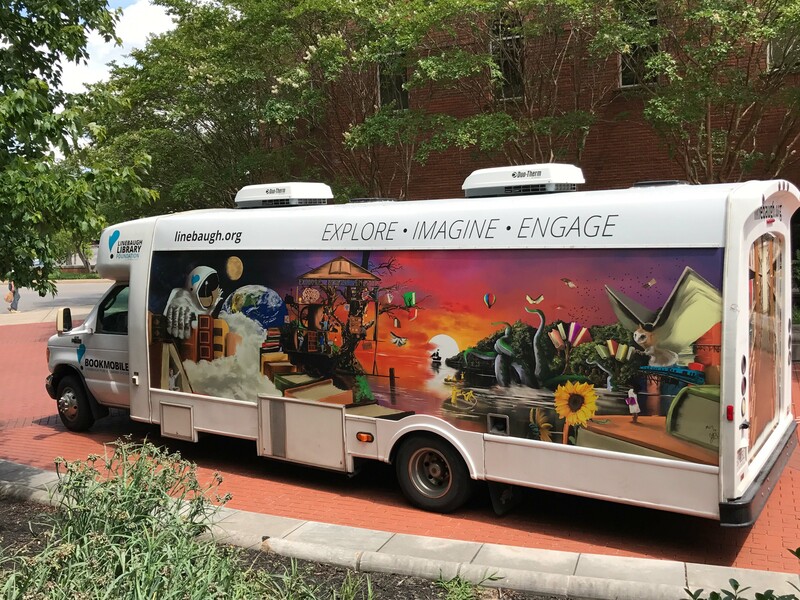 Visitors to the Bookmobile can sign up for a library card, check out books and other items, attend story time, and request items be delivered from any of the Linebaugh Library System branches. 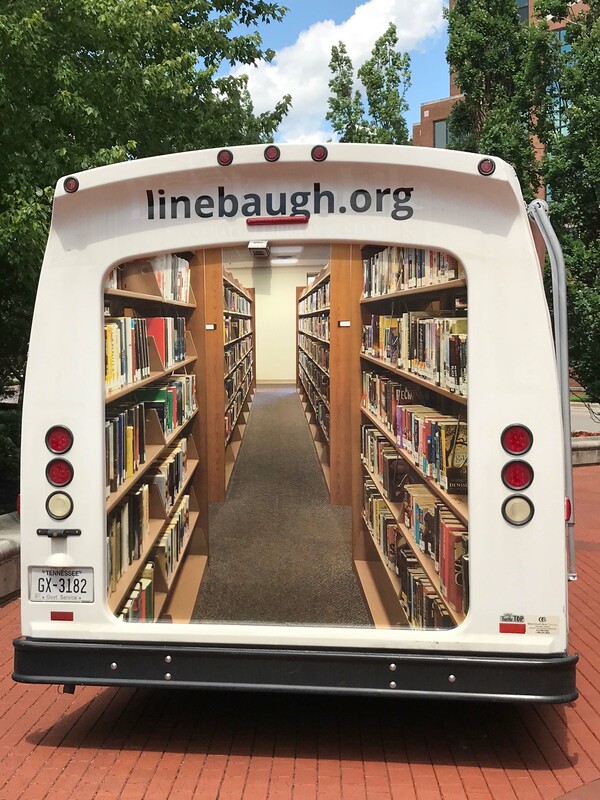 If your agency, school, or organization would like to be added to the Bookmobile route, you must send a letter on your organization's letterhead to Rita Shacklett, Library Director, Rutherford County Library System, 105 W. Vine St., Murfreesboro TN 37130. The letter should state the need for a stop at your location. This letter will be presented to the Joint Library Board for review. Notification will be sent as soon as a decision is made.